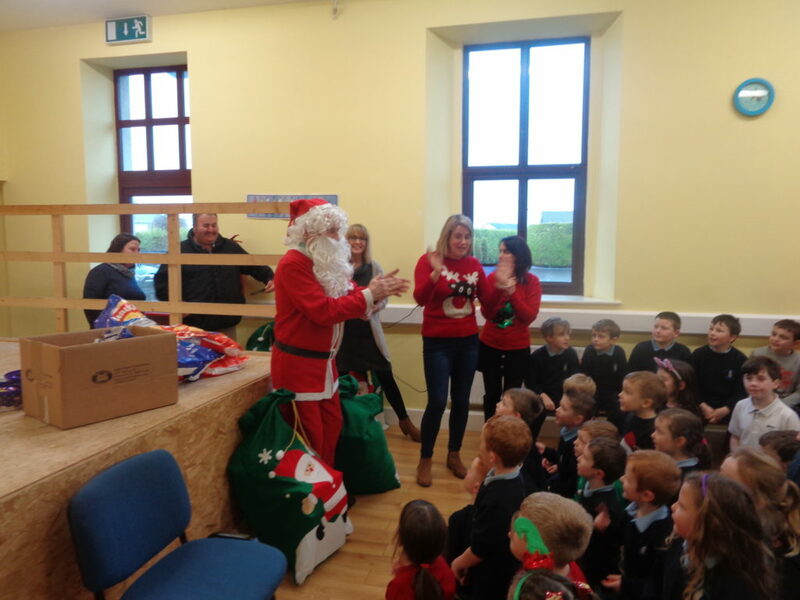 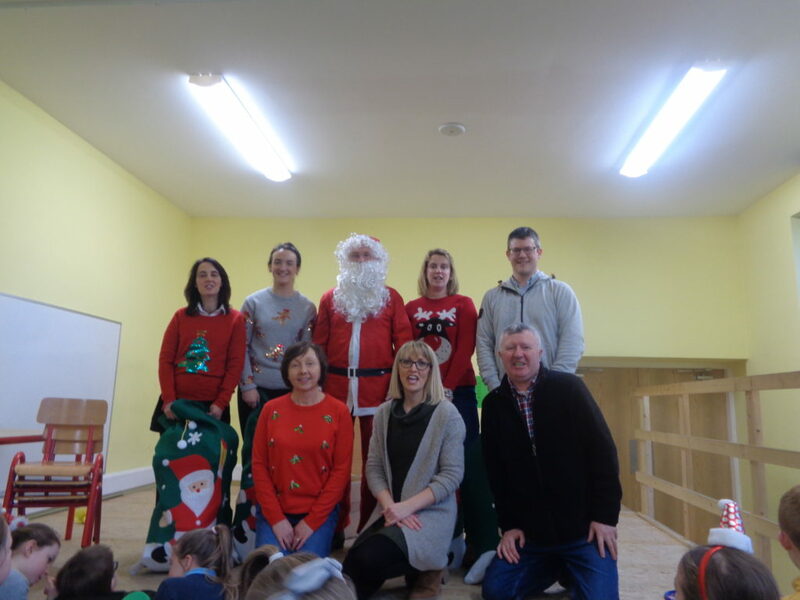 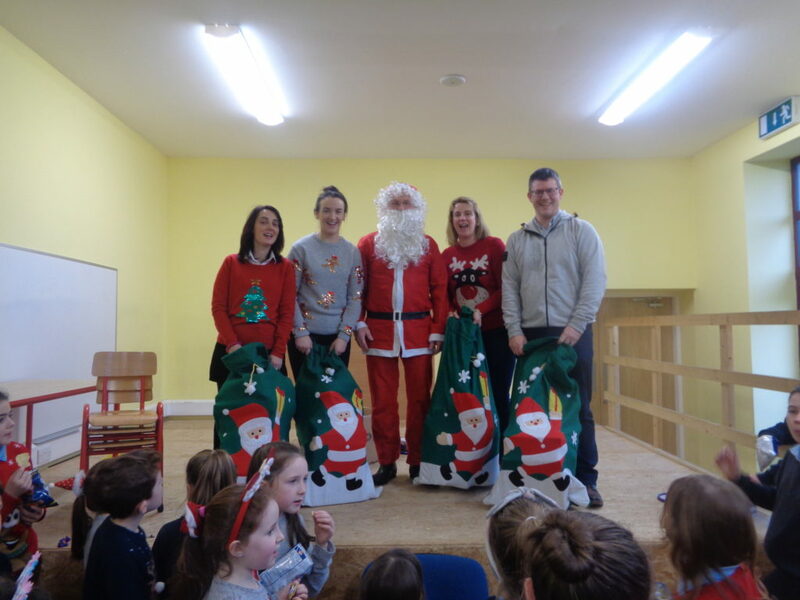 There was great excitement when Santa paid a visit to Kilglass National School before Christmas. 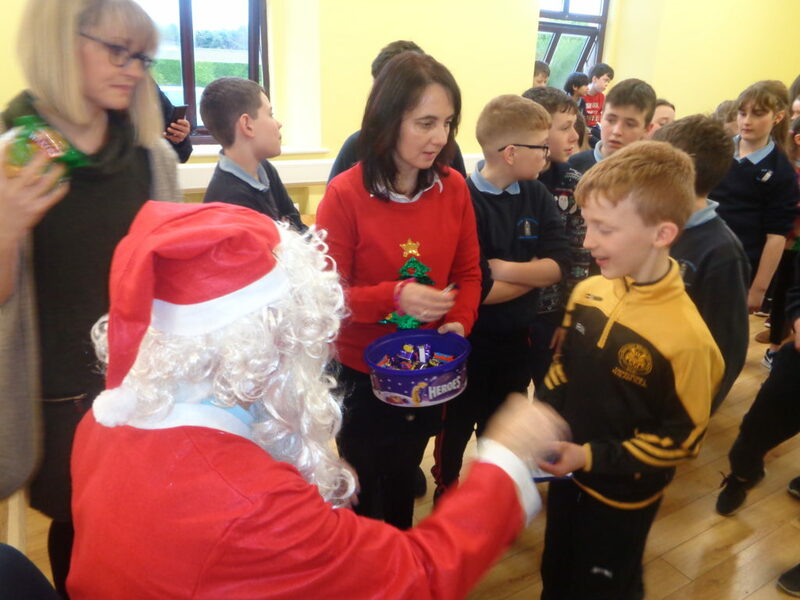 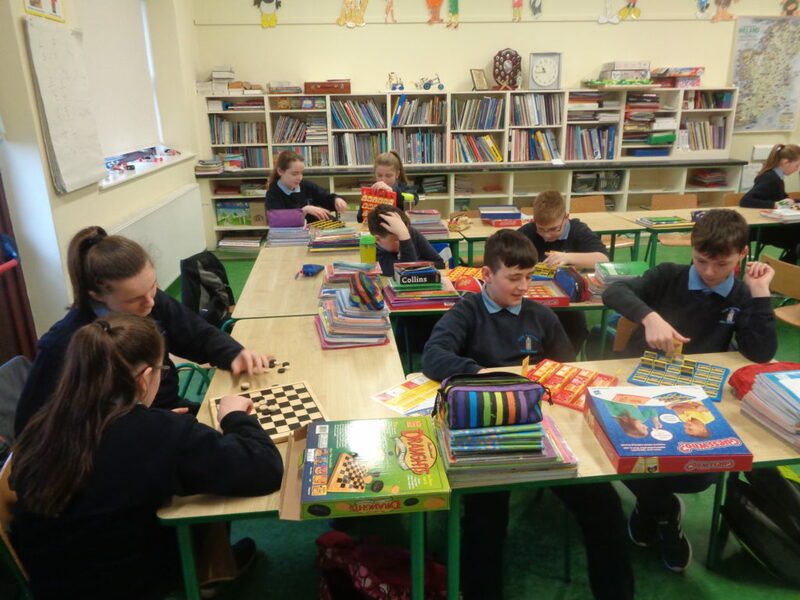 Singing, laughter and joy filled the air as Santa Claus gave each class a big bag of board games for their classrooms. 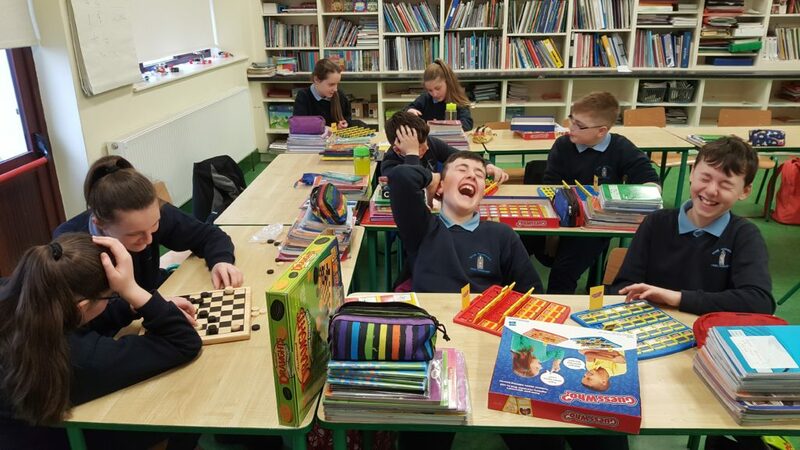 Monopoly, Chess, Draughts, Guess Who?, HedBanz, Boggle, Connect 4 and Snakes & Ladders are just some of the toys he pulled from his pack. 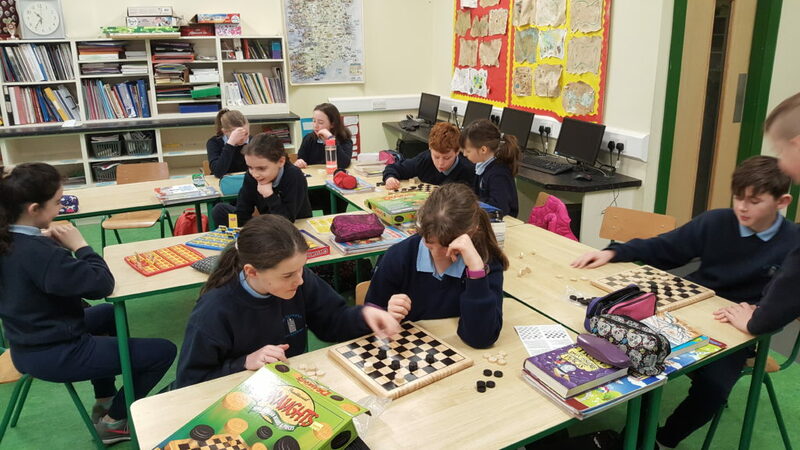 The children are getting great joy and benefit from all the games which are fantastic for developing social and educational skills. 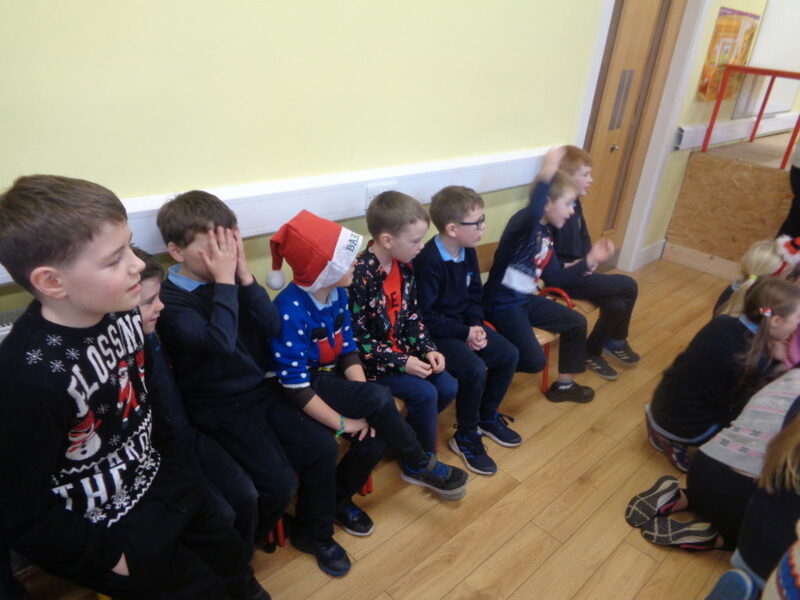 They are a valuable way of raising self esteem, helping children to work together in a caring and cooperative way; they learn from each other, practice a range of skills and learn how to be effective group members. 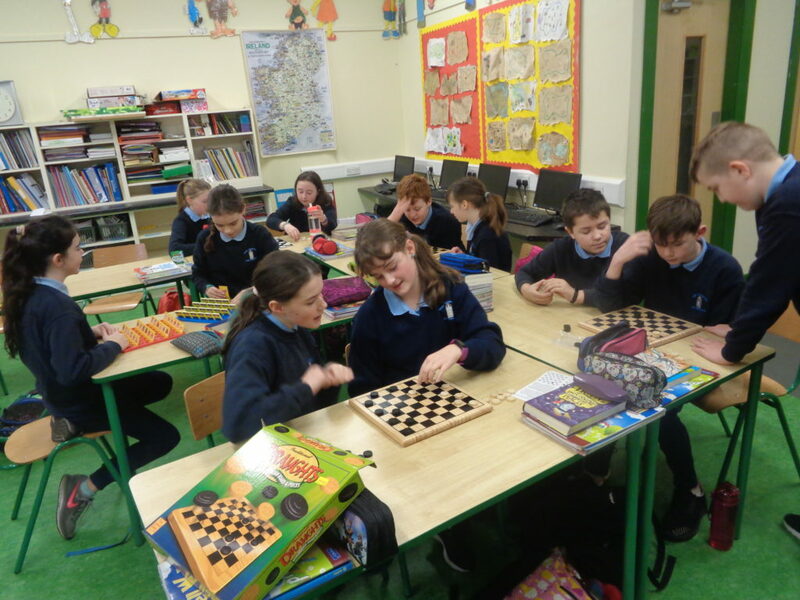 The games provide an opportunity for having fun while learning in a relaxed informal atmosphere. 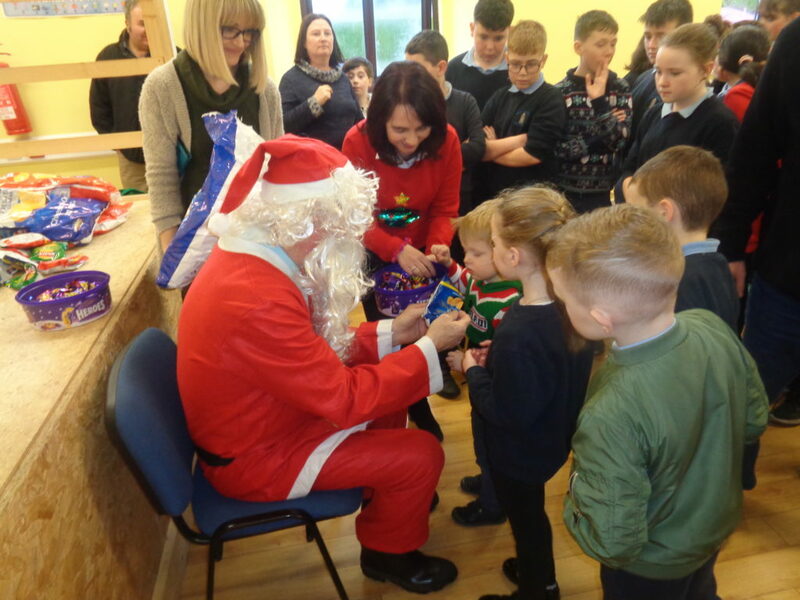 Thanks to Helena and Michael for organising a visit from Santa. 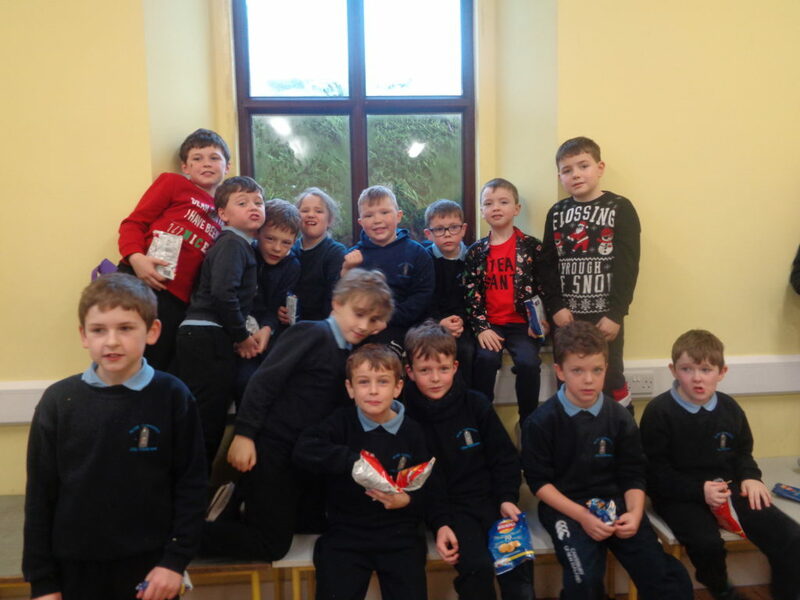 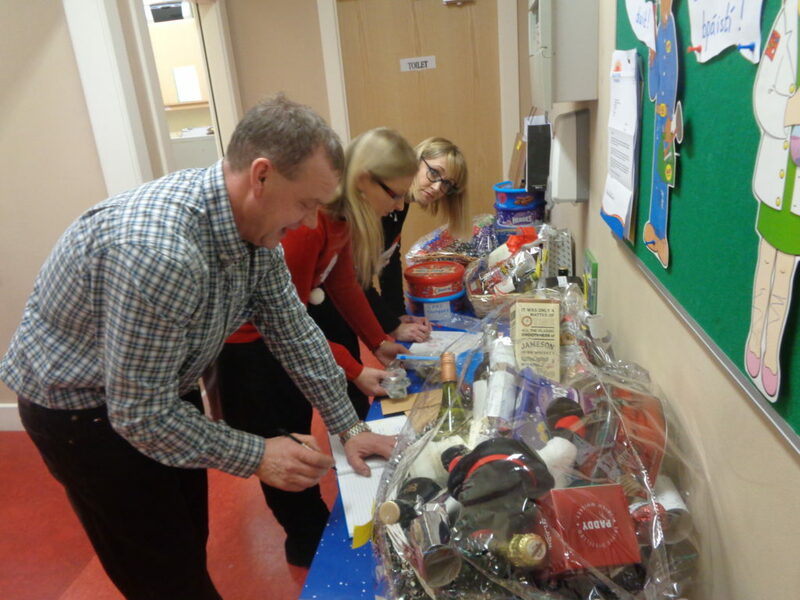 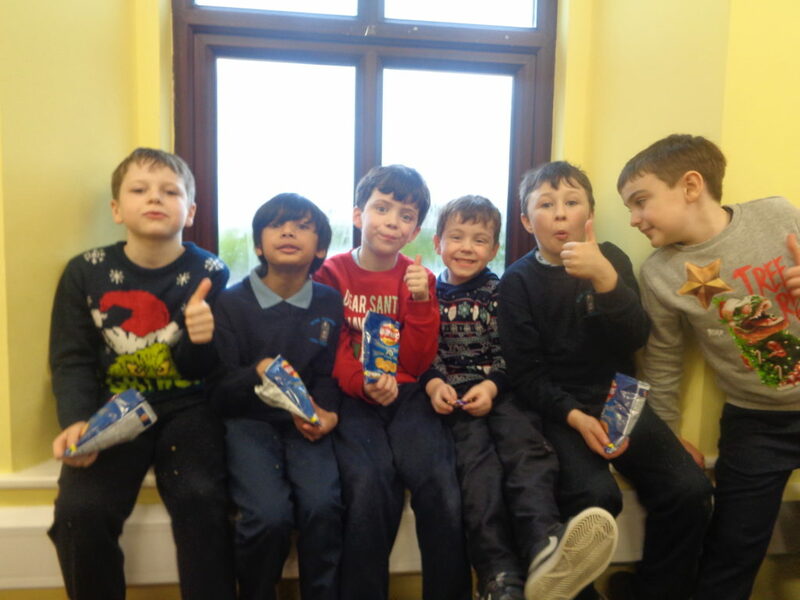 Thanks again to Brendan Henry and the Parent Association, the generous sponsors and all who supported our fantastic Cake Sale and Christmas Draw which raised €1835. 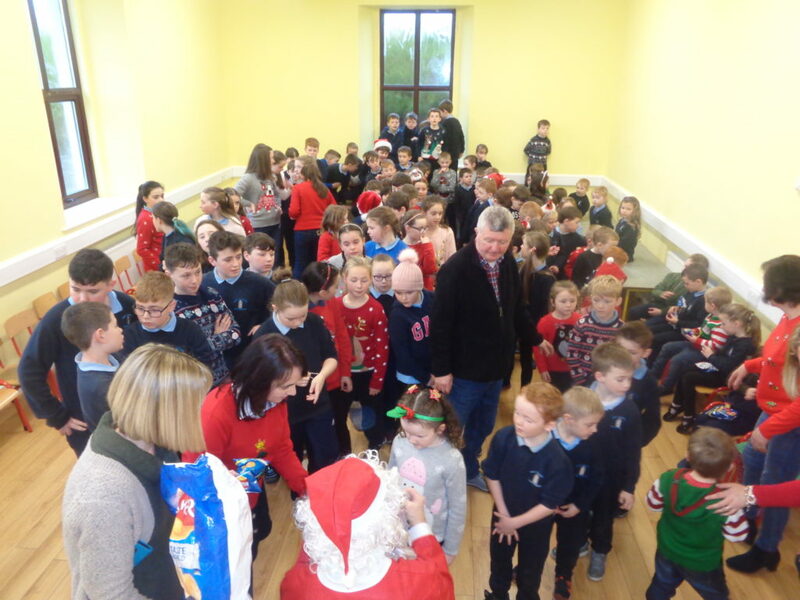 Míle Buíochas. 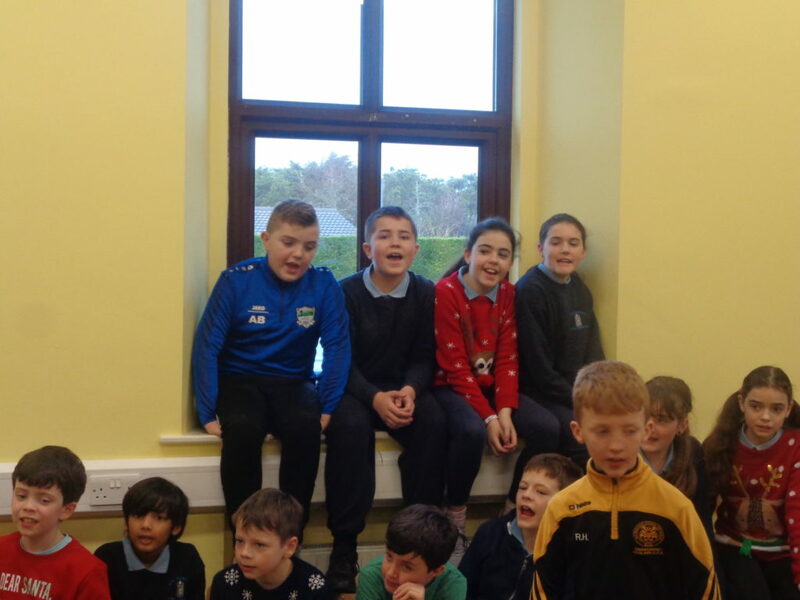 Previous post Christmas Plays 2018 Next post Green Schools Walk.